P2, P3, M1, D1 - Business of Travel and Tourism BTEC Travel and Tourism Level 3 - The Business of Travel and Tourism - P2, P3, M1, D1 For P2, learners should describe the organisational and financial characteristics of two different types of travel and tourism organisations with different structures. For example, they could select a medium national private limited company involved in outbound tourism and a local partnership involved in domestic tourism. All items of range must be included in the description. If the two organisations selected do not offer the opportunity to cover all the items of range, these items can be covered through other organisations. 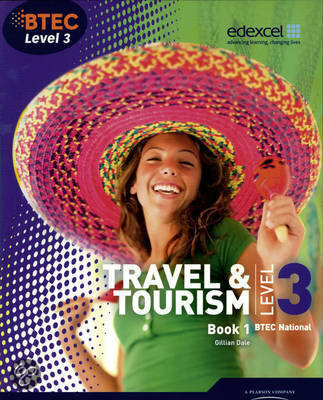 For P3, learners should review the methods and opportunities used to gain competitive advantage and achieve aims by different types of travel and tourism organisations and provide examples to cover all types of aims, ie financial, image, products. Learners can use the same organisations as for P2 or other organisations in the sector to ensure full coverage of range. The examples provided must be sufficiently detailed to demonstrate that the learner understands how the method or opportunity has achieved the aim. For example, provide details about how an independent travel agent has used advertising to promote its image as being an agent that can put together a customised holiday because they have more expertise than the multiple agent – ‘book with the experts for tailor made holidays designed to suit your needs’. M1 progresses from P2 and P3 and learners should compare the financial and organisational characteristics of two travel and tourism organisations that have different business structures, eg companies, partnerships, government controlled, memberships. Learners should then compare the methods and opportunities they have used to gain competitive advantage to achieve aims. The two organisations selected for P2 and P3 can be used and it is expected that all items of range as listed for P2 and P3 will be covered in the comparison. For D1, learners must demonstrate that they are able to evaluate links between the organisational and financial characteristics of an organisation and how this has helped the organisation to be successful in gaining competitive advantage to achieve their aims. For example, a small independent travel agent has become part of a consortium in order to compete with those agencies owned by large international integrated PLCs. As part of a consortium they can offer better commission levels and better deals to customers and so increase revenue. A large international tour operator, a PLC, aims to present an image of being a responsible tour operator with an awareness of the need to be environmentally friendly. The tour operator, because it is a PLC, has the capacity to launch a focused advertising and promotional campaign to raise its image and specifically train and develop its staff to promote the image. Learners should provide examples to cover all three types of aim, ie financial, image and products. Learners can use the organisations covered in P2 and P3 or other organisations in order to fully cover the range. The evaluation must be in depth and demonstrate a thorough understanding of the characteristics and the methods and opportunities utilised to be successful in today’s travel and tourism business environment. Unit 8 - Long-Haul Travel Destinations - P4 M2 D2 Unit 8 - Long-Haul Travel Destinations THIS WORK HAS BEEN MARKED AND ACHIEVED BY EXAMINER AT GRADE DISTINCTION P4 - describe features and facilities that contribute to the appeal of a selected long-haul destination for different types of visitors from the UK M2 - assess the significance of different features and facilities on the appeal of a selected long-haul destination for different types of visitors from the UK D2 - evaluate how the selected destination has capitalised on its features and developed its facilities to attract different types of visitors from the UK My selected long-haul destination was New York as we had been here on a college trip.